If you want to be a long distance, fast runner you have to listen to your body and take good care of it. It doesn’t mean just running and exercising, but it also includes taking the rest your body needs, taking the right food your body needs and putting on the right type of clothes and running shoes. To achieve any goal in life, you have to organize yourself and make a plan. If your next goal is entering a long distance race or just achieving to run faster and longer you have to organize your time, plan your runs and exercises. Because, in order to achieve good physical readiness for your runs, practicing only running will not help. You will have to strengthen your muscles, ankles, bones, so that your body is not prone to injuries. You have to determine days of the week for your runs and time of the day it feels most pleasant for running. Some people like early morning runs, just like myself, but some like dusk runs. Then you have to determine days for condition exercising, in order to get prepared for the demand all those miles place on your body. Using an organization tool can help you stay organized and disciplined and fulfill your determined goal. To become good in whatever sport activity, that activity has to take the most time out of your training sessions. So, you can achieve running faster and longer by constantly running. However, don’t forget to prepare for your run. Many think that when they start to jog, they will get the warm up they need. Yes, slow jog half a mile will help you warm up your joints and muscles, but then you have to stretch them to achieve a complete warm up and prevent injury. And every week increase the distance. Remember the breathing: inhale through the nose, exhale through your nose or mouth and keep your upper body – spine straight, while running. To strengthen all your body, especially your ankles and muscles, you have to include non-running training sessions for conditioning. You have to include condition training that will imitate or be similar to the running moves. You should also include weights in your exercises and align those exercises with the distance you are preparing to accomplish. This way you will tone and strengthen your running muscles all at once. 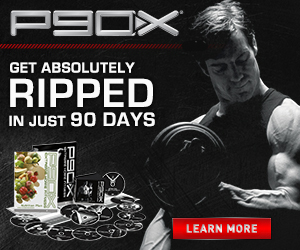 In my Training sessions I use the P90X exercises and I combine those with my Running sessions. I followed Beachbody’s advice for combining Running and P90X and it works well for me. And when I feel I need rest, I don’t just take day off, lay down and do nothing. I am actively recovering from the running with mild exercises, combining them with the Yoga X exercises from P90X. Not only for physically active people, but for all, keeping your body hydrated should be on your No.1 place when considering nutrition. So, drinking enough water, especially during your active periods is essential for your body. However, during a long run, you should sip water in small sips and frequently to avoid bloating or cramping. In order my body to get all the nutrients for the day I start my day with a Shakeology. It gives me the energy I need and improves my metabolism. This is my advice and my way of achieving one of my fitness goals. What is yours? Share it in the comments.